Martin Jufer became a member of GAM Holding AG’s Group Management Board in 2013. Since 2015, he has been region head continental Europe. From 2013 to 2015, Martin was responsible for the operations function of the Group’s continental Europe business. Prior to that, he was chief operating officer and head of products and services of Swiss & Global Asset Management (formerly Julius Baer Asset Management). 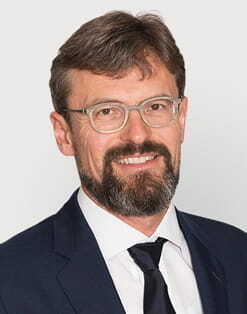 Martin joined Julius Baer Asset Management as an investment controller in 1996 and subsequently became responsible for fund administration, middle office and IT. Before joining Julius Baer, he worked as an auditor with Ernst & Young in Zurich. He holds an MBA from the University of St. Gallen (HSG) and a Swiss federal diploma for financial analysts and portfolio managers. He is also a certified European financial analyst (CEFA) and a US certified public accountant (CPA). Martin was born in 1968 and is a Swiss citizen.